Your company story is powerful...Our ability to deliver it is proven! It all starts with capturing your company story in a powerful ProView®. From photos to videos and licensing information to referrals, your local consultant will work directly with you to capture your story and share it with decision-makers in our Network and the entire web. 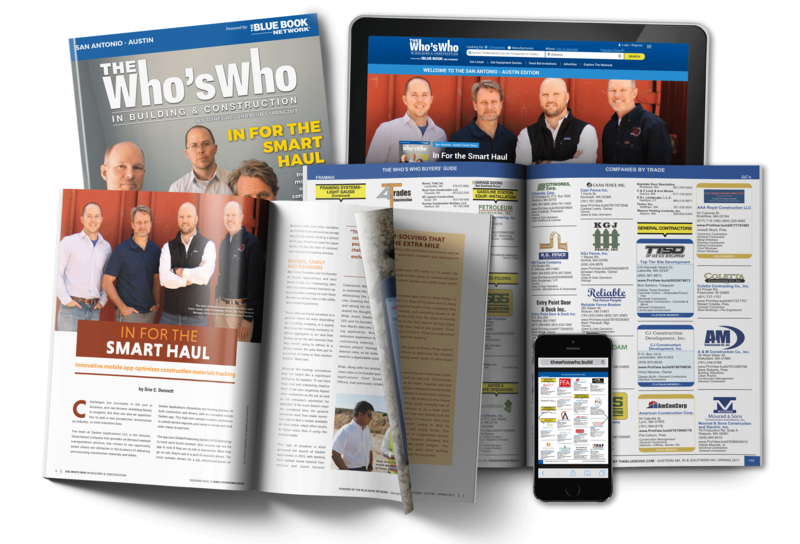 Once your ProView® is built, The Blue Book Network helps you tell your company story and build relationships – online, in print and in person. Grow your network and your business by sharing your company’s unique story, building new relationships, and nurturing your connections with a digital resume that visually represents your company’s work. Project owners search TheBlueBook.com - the commercial construction industry’s premier database - every day to access over 1 million prequalified vendors in over 560 trades. By appearing on Page1 search results in your targeted classification(s) and region(s), decision-makers will have an easier time reading your company story and qualifying you for their projects. 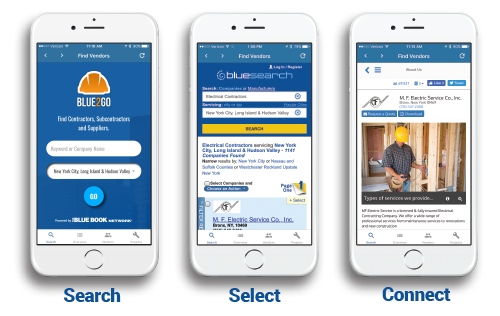 The free Blue2Go mobile app is the fastest way to connect on the go to the contractors and suppliers you need. Build your contact list from The Blue Book Network®'s prequalified contractor database. Add projects and organize your vendor list by project. Send fast, effective Invitations To Bid to your selected vendors. BidScope® is The Blue Book Network’s powerful project search engine that allows you to connect to the companies and the people behind the projects. 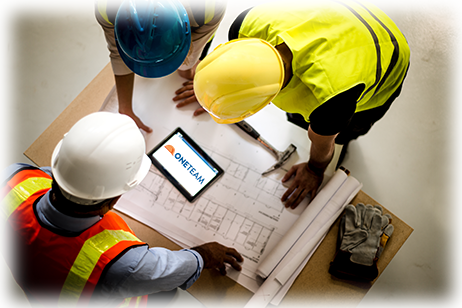 ONETEAM is the General Contractor’s solution for better response rates. ONETEAM allows the GC to send custom formatted Invitations To Bid and Request For Quotes to over 1 million prequalified vendors in over 560 trades. With secure online plan rooms, dashboards and reports it is the ultimate bid management solution for improved response rates. SpecScope A powerful new tool from The Blue Book Building and Construction Network which provides Building Product Manufacturers and Suppliers powerful search and analytical tools that are custom built for each sales and marketing workflow. Sharing your company’s story in print can build the strong relationships you need to build your business. Your local Business Development Consultant is ready for you at any time to lend their expertise and help you succeed. 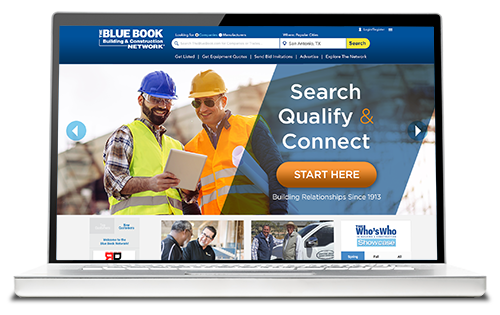 The Blue Book Network® has over 250 “feet on the street” uncovering new opportunities to bring you private and public projects first and to help you share your company story.